Elan Sherod Carr was born on November 25, 1968. Carr is of mixed Iraqi Jewish and Ashkenazi Jewish heritage. Carr’s mother, father, and stepfather are all immigrants to the United States, with his mother having fled from Iraq to Israel, and his stepfather having fled from Nazi-occupied Bulgaria to pre-independence Israel, before both then immigrated to the United States. His grandfather, a descendant of Baghdad religious leader Abdallah Somekh, was prosecuted during Iraqi show trials against Jewish community leaders during the time of the founding of Israel. Carr earned his bachelor’s degree in philosophy and political science at the University of California, Berkeley and his law degree at Northwestern University. 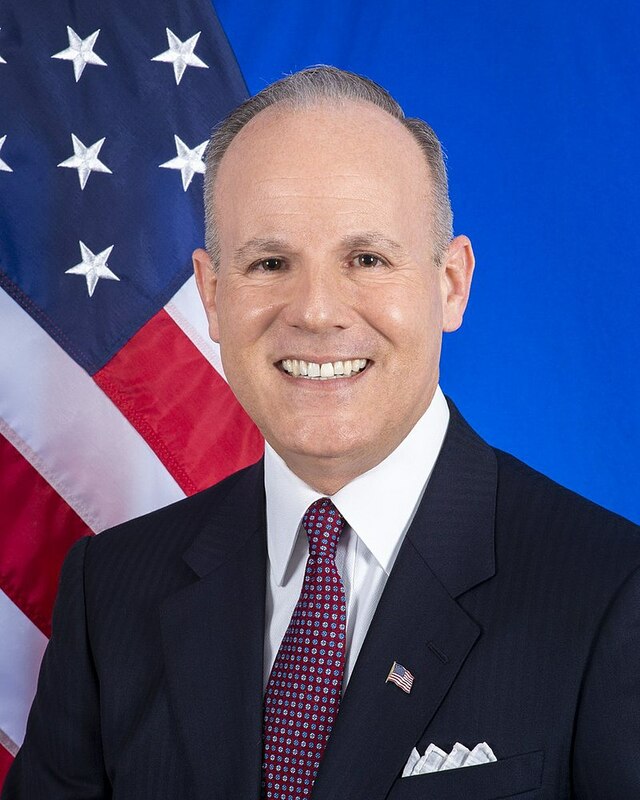 Carr was appointed on February 5, 2019, by Secretary of State Mike Pompeo to serve as the Special Envoy for Monitoring and Combating anti-Semitism and is responsible for directing U.S. policies and projects aimed at countering anti-Semitism throughout the world. Before that appointment, Carr was a deputy district attorney in the Los Angeles County District Attorney’s office. His work focused on prosecution of crimes committed by street gang members, and later, of crimes against special victims, including domestic violence, child molestation, and sexual assault. In 2014, Carr ran as a Republican in a heavily Democratic district to succeed retiring Congressman Henry Waxman but was defeated by state senator Ted Lieu. In 2016, Carr unsuccessfully ran for a seat on the Los Angeles County Board of Supervisors. Carr is a JAG Corps officer in the U.S. Army Reserve. In 2003-04, he deployed to Iraq in support of Operation Iraqi Freedom, where he led an anti-terrorism team in life-saving missions throughout the country and prosecuted terrorists who attacked U.S. troops. He also assisted efforts to establish an independent Iraqi judiciary and trained Iraqi judges and lawyers on constitutional law and criminal defense. During Carr’s Iraq War service, he led U.S soldiers in lighting a Chanukah menorah in Saddam Hussein’s presidential palace. He has received multiple awards and commendations for his nearly two decades of military service. He and his wife Dahlia, a physician, met when they were introduced by a mutual friend hosting a Jewish singles event.